Every driver in Florida has a duty of reasonable care. What is it? This duty can include not driving while impaired, obeying speed limits and any other reasonable action that prevents injuring others. It’s difficult to discuss reasonable care duties without first discussing negligence. Negligence is a very large area of personal injury law, and its ins and outs are complex at best. A person is negligent when he or she does something a sensible person wouldn’t have done. This could be driving while impaired, not following traffic signals or disobeying safe lane change laws. An individual can also be considered negligent if they failed to do something they should have done, such as not turning on lights when driving at night, not signaling before turning or failing to stop for pedestrians in crosswalks. An individual is found to be negligent when they have behaved in a careless or thoughtless manner that resulted in causing injury or harm to another individual, therefore breaching a reasonable care of duty. The defendant was in a position where reasonable care should have been enacted. The defendant failed in their duty to use reasonable care. A plaintiff was harmed or injured by the actions of a defendant. The defendant’s action or inaction caused the damage and injury. Florida’s negligence laws can be found in Florida Statutes Chapter 768. The reasonable duty of care with regard to car accidents involving vehicles can be complex. 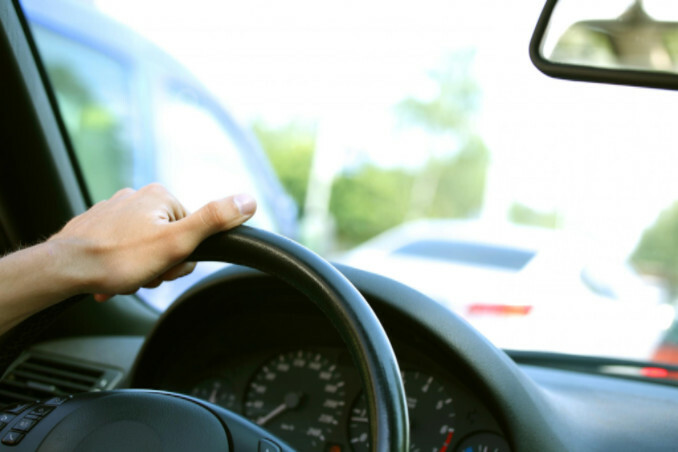 When individuals drive in Florida, they are considered to owe a duty of care to the other drivers on the road. A driver is expected to take any and all precautions to drive in a safe manner at all times. Reasonable care is expected to be taken into account with every vehicle in a foreseeable zone of danger. This reasonable care extends to other drivers, construction workers, pedestrians, bicyclists, passengers and more. Florida law requires all drivers to utilize reasonable care when they operate any vehicle, and this is designed for drivers to avoid causing harm or damage. It mostly involves driving at a speed that is reasonable with the amount of traffic on the road, but a driver is also responsible for adjusting their driving to accommodate weather conditions. For example, a person may be considered driving negligently if they are driving the speed limit, but visibility is very low. A driver in Florida is expected to adapt to any circumstances with caution, such as when driving past a school bus, near bicycle riders or when parking. Florida drivers are expected to anticipate possible problems on the road and avoid them through constant vigilance. They are expected to be alert and looking for possible road hazards, other vehicles and pedestrians. A cautious driver should know when a driving situation could become a problem. Should a driver fail to be appropriately vigilant, such as when driving in an area with road construction, and they are involved in an accident, they could be charged with negligence. The state of Florida expects all drivers to maintain proper control of their vehicles. Inability to control a vehicle and causing it to leave the road or overturn for no mechanical reason could be considered negligence on the part of the driver. Engaging in activities such as texting, eating or other types of distracted driving will also be viewed as negligence should an accident occur. When a person drives in Florida and is under the influence of alcohol or drugs, they’ve not only violated the duty of reasonable care but also committed a criminal offense. It’s considered much more serious than a civil violation. Individuals found guilty of DUI could be fined as well as incarcerated. When individuals are involved in a vehicle accident, the actions of all parties involved are viewed objectively. The scenario is analyzed and compared to what a prudent driver would have done in a similar situation. The following question must be answered: What are the expectations of a prudent driver in the same set of circumstances? The answer could ultimately determine who is liable for an auto accident. Reasonable care duties are closely tied with negligence. If a driver breaches his or her duty to drive safely, he or she may be accused of negligence and required to pay damages to those who have been injured as a result. If you or a loved one has been involved in a car accident and aren’t sure whether or not negligence played a part, the Tampa accident attorneys at Lorenzo & Lorenzo are here to help. Contact us today for a free consultation.